A weak Congress is ideal for the BSP chief's bid for the prime ministership in 2019. 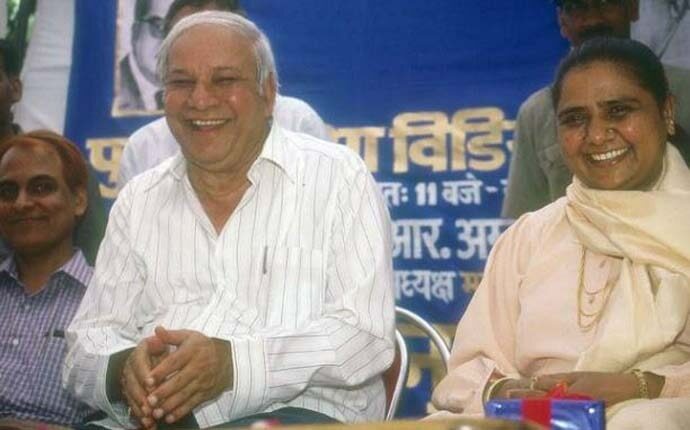 Bahujan Samaj Party founder Kanshi Ram’s favourite expression was he wanted a majboor, or a weak, government and not a mazboot, or a strong one; till Dalits reached the Centre. That was in the early '80s and among the thousands upon thousands of Dalit masses who used to traverse several miles on foot and rickety bicycles to listen to him was Mayawati. Decades later, Mayawati, now the BSP supremo, continues to give weightage to these words of her mentor. In her scheme of things, a weak Congress is ideal for her bid for prime ministership in 2019. This explains her rather abrupt way to call off any seat adjustment in the poll-bound states of Madhya Pradesh, Rajasthan and Chhattisgarh. A victorious Congress, standing on its own, would be bad news for Mayawati who is determined to make a serious bid for prime ministership in May 2019. 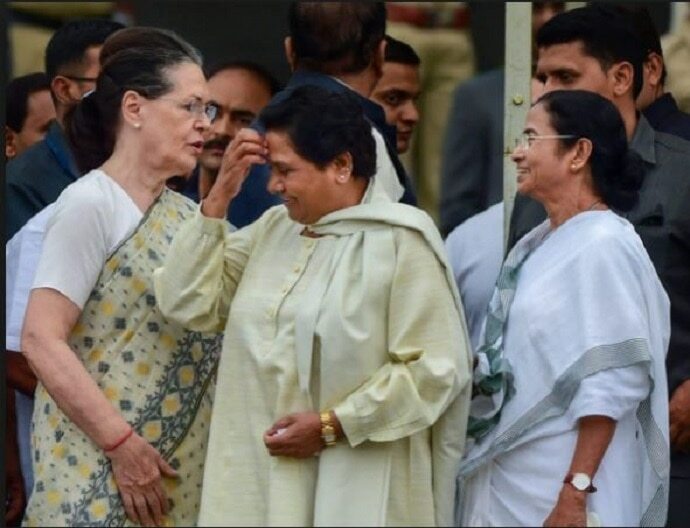 Notwithstanding a desire of many overzealous political pundits, the idea of a mahagathbandan or coming together of the non-NDA parties is a mirage at this stage. Mayawati was witness to Kanshi Ram stitching an alliance with the Congress in Uttar Pradesh Assembly polls, 1996. The timing of the alliance was close to the 1996 general elections, where the Congress was fighting a grim battle against a resurgent BJP and the aggressive regional parties. 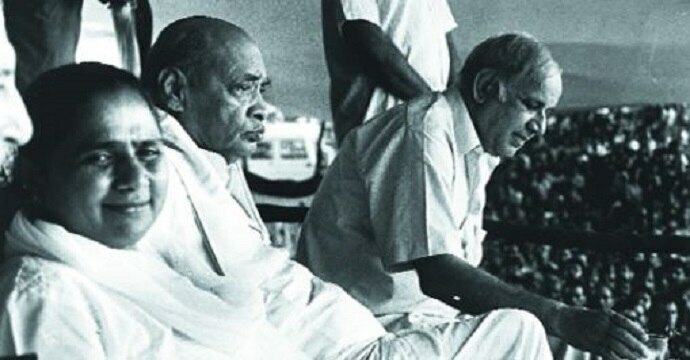 When the BSP-Congress alliance was announced in New Delhi, the-then prime minister and Congress president PV Narasimha Rao sounded a bit cagey when asked about the seat-share. It was Kanshi Ram, sitting next to Rao and UPCC chief Jitendra Prasada, who spelt out the terms of the accord. He said that the BSP would contest 300 seats, while the Congress will have 125 seats in the-then 425-member UP Assembly. While Rao maintained stoic silence, Prasada, a key architect of the alliance, tried to look the other way. After the 1996 Lok Sabha defeat, an AICC panel headed by veteran K Karunakaran went on a fact-finding mission to Uttar Pradesh and observed, rather dryly, that district-level offices in Gorakhpur, Basti, Bahraich and dozens of other places remained intact, but the boards/signposts outside had changed from the Congress to the BJP. Mayawati, having served four times as Uttar Pradesh chief minister, is credited with Dalit assertiveness and empowerment. The most significant and visible factor is the way Uttar Pradesh’s feudal social structure has got neutralised, ending decades of the Congress rule, which treated Dalits as a benign patriarch. The 21 per cent voters became important for the “socialist” and backward class leaders, who had a history of subjugating the Dalits. From the later part of the 1980s, Dalit voters started coming out in large numbers to cast their vote in the ‘Jat belts’ of western Uttar Pradesh where they once wouldn’t be allowed to. In her brief tenures as CM in 1995 and 1997, Mayawati had rounded up 1,45,000 rowdies, criminal and goondas who were known to intimidate Dalits. 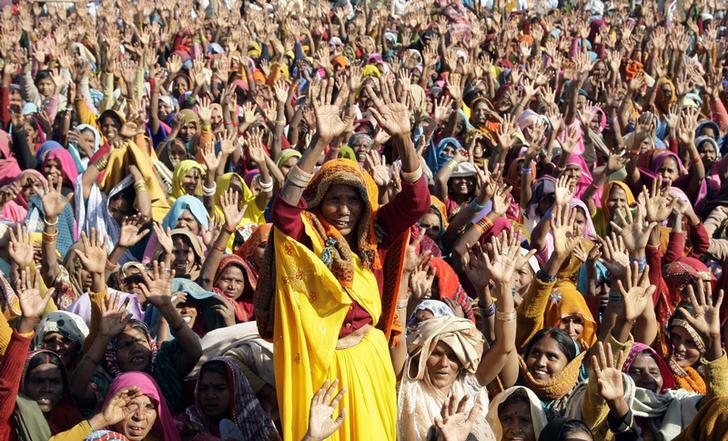 In their studies, Vivek Kumar and Uday Sinha (Dalit assertion and BSP, Bahujan Sahitya Sansthan 2001) have observed that in Mayawati’s public meetings and rallies, Dalit women outnumbered men because they were freer than upper caste women and closely identified with Mayawati. Paradoxically, the Mayawati rule saw atrocities against Dalits going up, which activists explained as a sign of Dalit assertion. Earlier, Dalits could not muster the courage to approach the police or file complaints, they said. 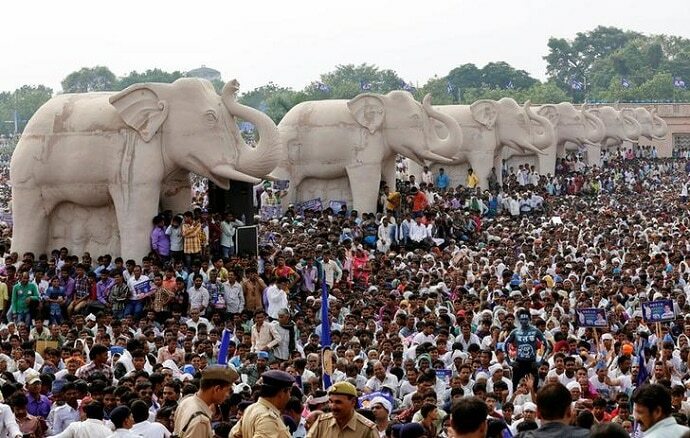 On the flip side, Dalit writers such as Chandra Bhan, Badri Narayan, D R Darapuri and others felt that in her bid to court ‘savarna’ (upper castes), Mayawati neglected her Dalit cause which, in turn, weakened her political stature from 2012 onwards. After Mayawati’s defeat in 2012 UP polls, Darapuri wrote, “The main factors responsible for decline in Mayawati’s Dalit vote bank are her corruption, misgovernance, lack of development, neglect of Dalit atrocities and her autocratic stance. “Most of the Dalits have also not relished Mayawati’s excessive idolisation by ignoring Dalit issues. In an attempt to keep her savarna voters in good humour by neglecting dalit atrocities, Mayawati made the Dalits suffer doubly. In June 1995, when Mayawati had become the chief minister of Uttar Pradesh for the first time, at the head of a coalition government, Prime Minister PV Narasimha Rao was away in France. Addressing the captains of trade and industry in Paris, Rao described Mayawati as a ‘miracle of democracy’ and marvelled in jest at how a woman hailing from the most neglected section of the society had assumed the powerful office of the chief minister. On 11 May 2007, the ‘miracle of democracy’ was seen paying respects to herself. 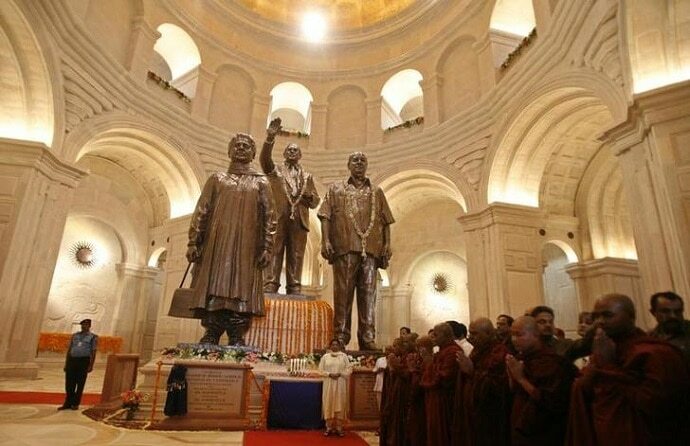 At the Prerna Sthal temple inside the BSP headquarters at Lucknow, Mayavati stood in silence for a minute before three tall deities — BR Ambedkar, Kanshi Ram and herself. As she stepped out of the temple, it began to rain. Some Lucknowites, who were sweating in the 40°C heat that day, took it as ‘divine approval’ for the change of guard in Uttar Pradesh. Inside the temple, a flash of memories must have come to Mayawati’s mind: Years ago, sometime around 1977, she was just out of college and busy preparing for the civil services when she met Kanshi Ram for the first time. He told her matter-of-factly that while she wished to become a DM (district magistrate), she should follow his path and she would become the CM one day. Kanshi Ram could see her controlling the masses and bringing about a better life for the oppressed Dalits all over the country. She could have immense ‘control’ over hundreds of IAS officers, Kanshi Ram had reassured her, seeking her commitment with single-minded devotion. Born as Mayawati Prabhu Das on January 15, 1956, Mayawati’s life has been extraordinary and inspirational. She spent her early life near Delhi at Badalpur, Noida where her father was a lowly postal department employee, who often struggled to pay the Rs 15 tuition fee for his children who studied at a local government school. Her life remained mundane and tough till she graduated from Delhi’s Kalindi College, did her law degree and B.Ed and settled for a school teacher’s job at Ghaziabad. But Mayawati would go on to become an icon, becoming Uttar Pradesh’s chief minister on four occasions, and the highest tax-payer in the country and a curious package of contradictions. The Congress under Rahul Gandhi needs to master the art of managing contradictions and dealing with a tough bargainer like Mayawati who wants to have another run as a miracle of democracy — from zero Lok Sabha seat in 2014 to prime minister's chair in 2019.